If there has ever been a day with an excuse to drink and dance until the morning rolls in, it is St Patrick’s Day on the 17th March. For those in London or looking to spend the night experiencing the city’s nightlife, it can be a great idea to bar-hop through the different Irish pubs that the city has to offer. 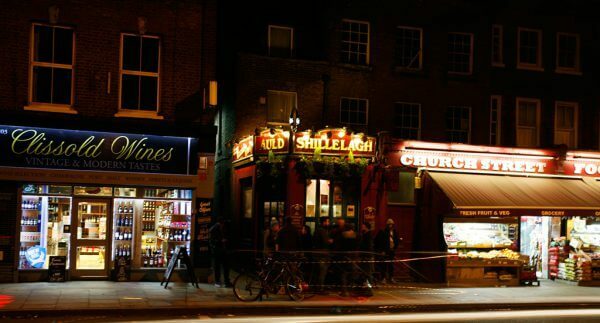 Below we offer a selection of some of London’s finest Irish pubs. It surprises many to find out that London’s oldest Irish pub is actually located on the infamous Fleet Street in the heart of London’s city centre. Thought to be the first pub to serve Guinness outside of Ireland, this is a must visit for any pub crawl – preferably earlier in the night so you can properly appreciate this quaint watering hole’s storied past. 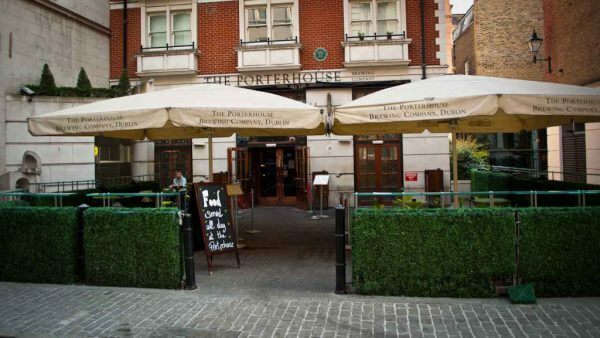 If you’re looking for somewhere a bit more spacious, The Porterhouse in Covent Garden should definitely be on your list. Offering an incredibly vast collection of ales, stouts and porters brewed within its own Dublin brewery before being imported to London. For those who just want a beer, The Porterhouse is also home to hundreds of bottled beers from around the globe. As your night rages on, The Toucan – just off of Soho Square – is a must visit thanks to its absolute worship of everything Guinness. From the outside to the inner aesthetics, you’d be mistaken for thinking that Guinness actually owned the bar. But what better encapsulates St Patrick’s Day than this famous Irish dry stout? 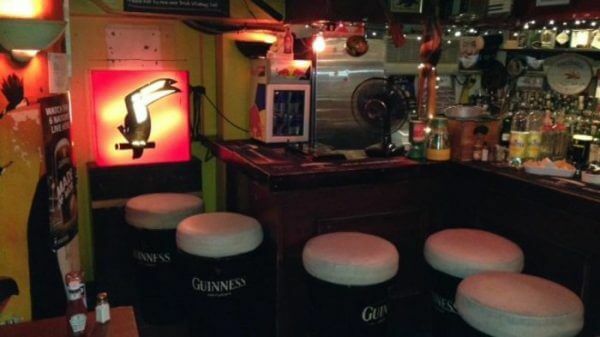 Many argue that The Toucan serves the best Guinness in town. Other drinks are, however, available – including a wide selection of whiskies. Offering competition to The Toucan, many also argue that Auld Shillelagh in Stoke Newington produces the best pints of ‘the black stuff’ in town. Standing for over 20 years, the pub may not have the vast history of some of the aforementioned bars. However, it can always state that national Irish newspaper, The Irish Times, named it as one of the top 10 best Irish pubs in the world (outside Ireland). These are just some of the Irish pubs to visit in London. For those looking to do a good old-fashioned pub crawl, the hardest part is actually travelling between the bars. This is not just because of your increasingly inebriated state, but because of these pubs being quite spread apart. Instead of trying to navigate you and your friends through London by using public transport throughout the night, why not make use of a reliable chauffeur service instead? At Mercedes Chauffeur Hire, our highly experienced drivers can transfer you and your group from bar-to-bar with ease – allowing you not to miss a thing, rest easy and enjoy your night without stress. We can transport you and a couple of friends in the ultimate chauffeur driven car – the Mercedes S Class. Or, if you’ve got a group of up to seven people, the luxurious Mercedes V Class people carrier is perfect – even including a ‘social seating’ arrangement to ensure everyone stays involved in the conversation. And come the end of the night, you need not worry about getting to your resting destination – your professional London chauffeur will make sure to safely drop you off at your home or your hotel for the night. 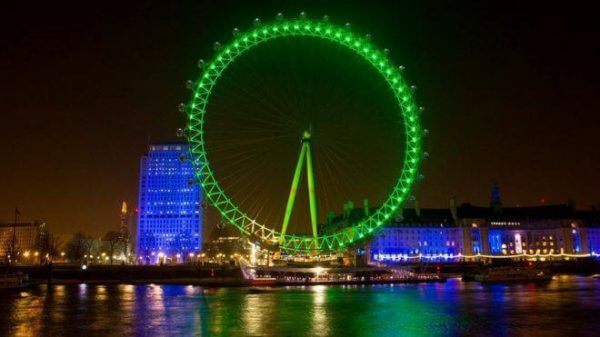 For the ultimate St Patrick’s Day (and night) experience, book Mercedes Chauffeur Hire for the 17th March from today.